Small-batch, inventively flavored ice creams show a respect for the classics. 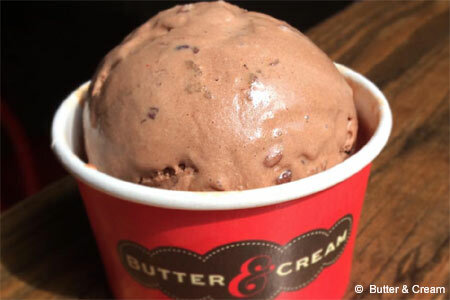 : Small-batch ice creams are the star attractions at Butter & Cream and there’s a long list of flavors, including salted caramel and cashew crème brûlée. Kid-size cups are just $2.50, and that's enough to suffice, as this is rich ice cream. Of course, larger servings are available, and so are pints to take home. Waffle cones may be had for a small up-charge. Brownies and cookies are made in-house.